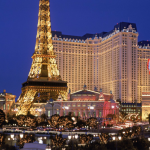 With so much to do in Las Vegas, it’s easy to see why this is the perfect getaway for those eager to escape for a few days from the routine of everyday life. 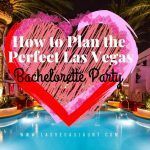 For women, whether the celebration is a Bachelorette’s Party, birthday or other special occasion, this city is a guarantee there is something for everyone to enjoy. Here are our picks of some destinations that must be included on your list! And as always, make sure you make reservations for most of these hot spots. Caesars Palace: Yes, this hotel has been around for decades, but it is still one of the more popular venues along the Strip. Why? 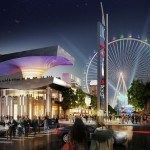 Lots of great restaurants, bars, shopping, shows (including residency acts, Celine Dion, Elton John, Rod Stewart and Mariah Carey among others), make this a win-win choice. Four Seasons: Casino free, yet just steps from the Mandalay Bay, this is ideal for those guests that prefer a more exclusive vacation. Luxurious, sophisticated and quiet, the pool offers cabanas with waterside bar, spa, fitness center, afternoon tea and upscale restaurants. Aria Hotel: This hotel is on just about every list for a getaway simply because of its prime location on the Strip, but also for its oversized guest rooms, relaxing guest pools, shopping and good restaurants. Of course, if budget isn’t an issue, other top hotels include The Wynn, The Bellagio and The Venetian. 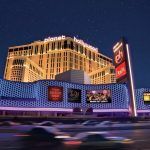 For those looking for a more moderate priced hotel, The Hard Rock Hotel, New York, New York and Mandalay Bay are popular as well. So many choices, yet so little time. There are spas galore in Las Vegas, some intimate, others massive and all offering a variety of treatments from decadent, to simple fun. 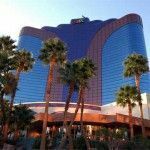 Red Rock Casino Resort & Spa: Located approximately 11 miles from the Strip, here you will discover a luxurious 25,000 square foot spa that offers a variety of unique treatments. Pumpkin lover? Try a Pumpkin Body Treatment! The Spa at Mandarin Oriental: Rated by Forbes as one of its 5 star spa experiences, discover an array of holistic treatments. Situated on two floors, this is the ideal location for those looking for a personalized service. It includes a Relaxation Room overlooking the Strip. Canyon Ranch Spa Club at The Venetian: The largest spa in Las Vegas, is over 137,000 square feet and boasts two cafes, rock climbing wall, fitness center, and over 100 spa treatments. Sahra Spa & Hammam at The Cosmopolitan: Rated by Travel & Leisure as one of the top five spas in Las Vegas, here is where you can book your own spa penthouse with steam room, hydrotherapy tubs, wet bar and living room. Truly amazing! 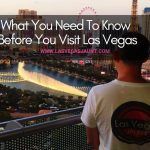 Whether you are looking for bargains or have an an unlimited budget, Las Vegas is home to some of the best shopping in the world, and this is no overstatement. Las Vegas Premium Outlets: Located on both the North and South sides of the city, here you will find name brand stores offering big discounts at often 75 percent off. Fashion Show: Ideally situated on the Strip, here is the biggest shopping mall in all of Las Vegas, and one of the largest in the world. Over 250 stores, seven signature stores, massive food court and other nice restaurants. Grand Canal Shoppes at The Venetian: Atmosphere alone should induce you to shop here, simply to soak in the Italian culture that the developers of this top hotel painstakingly recreated. From cobblestone walks, quarter mile long grand canal, one of a kind stores (bring your wallet), top restaurants, and so much more, this is truly an experience you don’t want to miss. Forum Shops at Caesar’s Palace: While this one of the first “destination” shopping malls in Las Vegas, The Forum Shops has not outworn its welcome. Still popular with a variety of top notch shops, fine dining and the Atlantis Aquarium, this is easily accessible from the Caesars casino. From lounge acts to spectacular extravaganzas, to the more “sinful” shows Las Vegas is well known for, here you will discover entertainment to fit every occasion. Because we are discussing a “Girl’s Getaway,” here are some of the most popular adult venues in the Entertainment Capital of the World. Reservations should always be made in advance, especially during the busy weekend. Also, keep in mind that some are only opened Thursday through Sunday so plan accordingly. Chippendales at the Rio: This legendary show is referred to as the “hottest male revue show on the Strip.” Considered the original that started it all, Chippendales Las Vegas perform nightly with extra shows on Friday and Saturday. Here you will find an epic adventure with some of the most chiseled and entertaining men in show business. There is a variety of pricing and seating packages available from VIP tables to balcony seats. Price includes free admission to the Voodoo lounge atop the Rio. For those that want to party hard, look no further. So no matter the celebration, Las Vegas is ready to entertain you. Whether it be lounging poolside, taking in some of the best shopping and restaurants in the country, making reservations for unique entertainment experiences, it’s all here. Now is the time to start planning your trip! 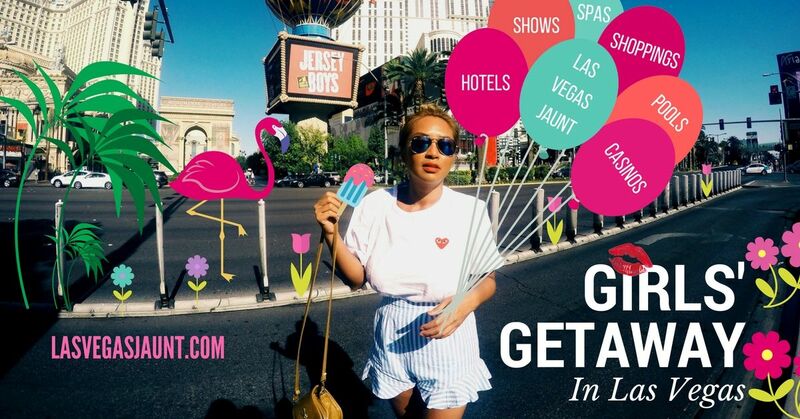 What are you girls preferred spots and activities on your girls’ getaway trips?